This is the first of a 6 part series designed specifically for drivers interested in setting up their rideshare business. Many drivers don’t realize it but as a 1099 employee, you are now a business owner in the eyes of the IRS and there is a lot of added responsibility that goes along with that. While it might be more work to be a business owner, that doesn’t mean it has to be difficult. The purpose of this series is to help you navigate through everything from setting up an LLC to separating personal and business expenses with business checking accounts and credit cards. At the end of this course, you will be a full-fledged rideshare business! Day 4 – What’s The Best Way To Track Your Rideshare Income And Expenses? Now that you’re a business owner, there are a lot of important decisions that need to be made. Among the first of those big decisions should be figuring out which type of business entity you want to be classified as. If you do nothing, you’ll be treated as a sole proprietorship, but what exactly does that mean? Disclaimer: I am not a CPA or a lawyer, this article is for informational purposes only. A sole proprietorship isn’t a legal entity but it simply refers to a person who owns a business and is personally responsible for all of its debts. It is by far the simplest to set up but the one major drawback is that your personal assets will not really be separated from your business’ assets. Most businesses, especially with rideshare drivers, start out as sole proprietorships because they’re simple, low cost and easy to set up. In fact, many of you are likely sole proprietors and may not even know it yet. So let’s take a look at some of the tax and legal implications of a sole proprietorship. With a sole proprietorship, your income and losses will be taxed on your personal tax return but you will now have to file a Schedule C & SE in addition to your 1040. Sole proprietorships are a popular business entity due to their simplicity, low cost and ease of setup. You can set up a fictitious name for your business (DBA) but at the end of the day your given name (ie Harry Campbell) is really all that matters. There may be some local business licenses that you need to apply for but the cost is generally minimal. The biggest disadvantage of a sole proprietorship is the fact that the owner can be held personally liable for all of the business’ bad debts and judgements from lawsuits. For drivers with a low net worth and/or little to no personal assets, a sole proprietorship could be a good pick. You can still be held personally liable as a sole proprietor but if you have no assets, the chances of you being sued will go down significantly. Since most lawyers work on a contingency fee (often 1/3 of the recovery), they generally will do some digging first to find out if it’s even worth their time to sue in the first place. If you have a low net worth and not much in seizable assets, it might not make a lot of sense for a lawyer to come after you. But remember, that’s not to say you can’t or won’t get sued, it’s just not as likely. If you do have personal assets that need protecting, you may want to consider an LLC. A Limited Liability Company is a hybrid business entity that combines the same pass-through type taxation of a sole proprietorship with the liability protection of a corporation. For entrepreneurs and especially rideshare drivers, LLCs will give you more liability protection than a sole proprietorship. LLC owners will still report income and losses on their personal income tax return but an LLC effectively separates your personal assets from your business’ assets. The only real downside of an LLC is the cost associated with starting one. The price is pretty reasonable in most states but in California for example, it costs $800 per year to form an LLC. Most rideshare drivers won’t need to worry about the debt protection aspect of an LLC because you won’t be able to get a loan against the value of your LLC anyways. In order to get a business loan, you would likely have to put up personal assets as collateral so that type of personal debt protection wouldn’t apply. Where LLCs can protect drivers though is with potential liability claims. If someone sues you during the course of your business activities, your LLCs assets would be held liable but your personal assets would not. Any other type of wrongdoing where you knowingly failed to act to repair the situation/problem. A lot of business owners are under the impression that they cannot be sued if they form an LLC. But in fact, forming an LLC will not protect you against personal liability for your own negligence, malpractice, or other type of personal wrongdoing in relation to your business. If both you and your LLC are found liable in a judgement of this nature, your LLC and your personal assets could still be at risk. 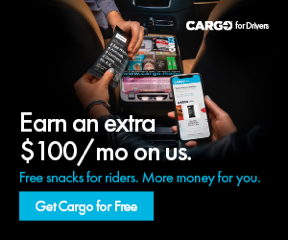 Let’s say you make $100,000 a year driving for UberBlack. If you pay yourself a reasonable salary of $60k and leave $40k as business profit, you would pay FICA taxes on the $60k but since the $40k is unearned income, you would only owe state and federal taxes. That would save you about $6,000 in FICA taxes ($40,000 x 15%). Now determining what salary you pay yourself is a huge gray area with the IRS and you’ll definitely need to speak to a CPA about this (and one who specializes in small business/corporation taxation) but you can see the potential for tax savings is pretty huge. A bulk of the self-employment tax savings comes from Social Security tax which will eventually reduce your social security payout. You may have to pay unemployment insurance tax on the amount you pay yourself as salary. Your retirement account contribution amounts could be reduced. It will be more expensive to file taxes as an S-Corporation than as an LLC. There may be additional state taxes you have to worry about (this is true for LLC too though). The moral of the story when it comes to S Corporations is that they could be beneficial but they are extremely complicated and there are lots of trade-offs that you and your CPA/lawyer should consider. If you are interested in forming an S-Corp I highly recommend that you speak with not only a CPA, but a CPA who specializes in small business/entity formation/entrepreneurs. There is a lot of mis-information on the internet when it comes to S-corporations because it’s easy to focus on the self-employment tax savings and ignore all of the complicated the trade-offs. If you want to learn more about selecting the right business entity, one of the best books on the subject is called ‘LLC vs. S-Corp vs. C-Corp’ by Mike Piper. Mike is a CPA, author and blogger at Oblivious Investor and a leading expert on this topic. In the mean time, you should start thinking about what type of business entity you would like to form. If you’re an occasional driver or you don’t have many assets to risk, a sole proprietorship might work. But if you’re worried about the liability issues and/or want to give yourself that extra layer of protection, an LLC is probably the better option. And of course if your rideshare driving is starting to bring in significant income, it may be time to talk to a CPA about forming an S-Corporation.